Mulock Vistas By Falconcrest Homes. Highly Sought After Community Ideally Located Close To Hwy 404, Go Station, Rec Complex, Hospital And Schools. Well Appointed "Red Cedar" Model, 1280 Sq. Ft. (As Per Builders Plan) Luxury Features Include: 9 Ft Ceiling Main Floor, Hardwood (Main Level) Granite Kitchen Counter, Extended Height Kitchen Upper Cabinets And Oak Main Staircase. 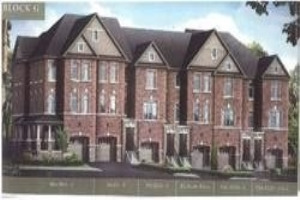 No Showings As Developments Is Under Construction, Full Tarion Warranty. Builder Bonus Of 5 Appliances And $5,000 Towards Upgrades.